A recent holiday in Yorkshire gave me the chance to explore some new castles. I’m finding myself doing the trip I have laid out in my stalled work in progress in reverse. My character travels south, while I went north. Armed with a camera, I snapped away, trying to pretend I was somebody else, not an writer or photographer, rather a fascinated ignorant traveller who had seen little of anything and gawped at the views and the scale of man’s medieval creations. Ruins might seem much the same after a while, but each has its own quirks – the stairs leading nowhere, the foliage growing where ever it likes forcing flowers to poke out of the crumbling mortar, the varied colour of the stone that depends on the era of construction, the rounded arches of the Normans frame the unglazed windows, barren walls and roofless chambers merge into the grey skies and then there are the murky wells dug into the courtyards. 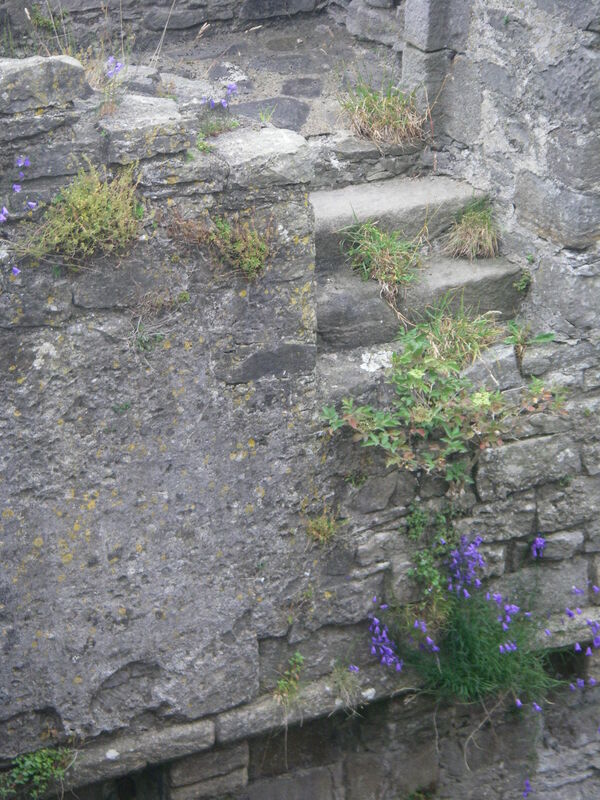 There’s always a bracing wind on the battlements, which whipped my hair across my eyes making them water. The kids found nooks to hide in. I shouted at them to watch the edges, don’t climb on the walls and please, don’t hang over the sheer drops. 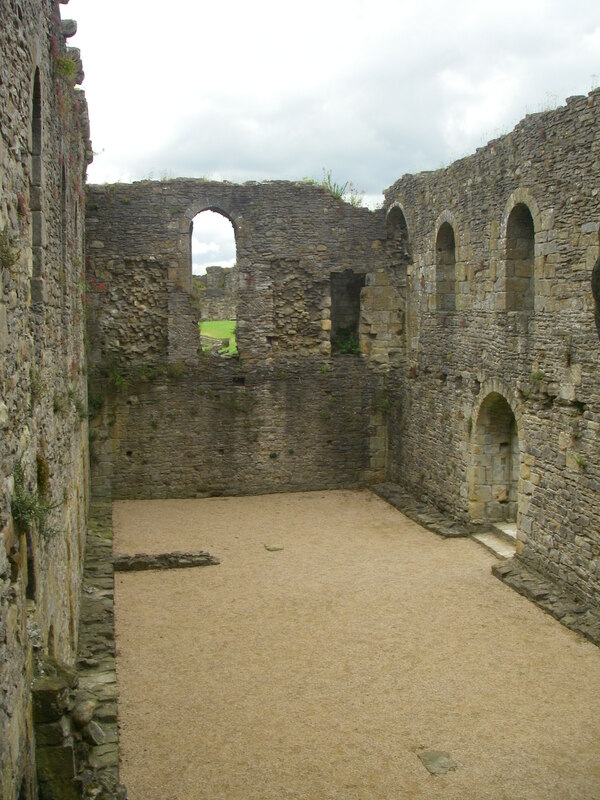 Middleham was home to Richard III before he became the infamous wicked king. His own son was born and died there at the tender age of eleven. Richard mourned him, as would any father. Much maligned by subsequent historians, I’m on the fence with regard to his actions – rogue or loyal uncle? If you’ve not read Sunne in Splendour by Sharon Penman, it’s a great story told from his perspective. The castle was built on the edge of the Yorkshire Dales and the original Norman motte and bailey was placed in a more strategic location, but is now just a mound. The castle sits on the edge of a pretty village, a rather like an square appendage, neither huge nor trivial in scope, but having lost the vantage point compare to its destroyed neighbour, strangely unimpressive in scale. 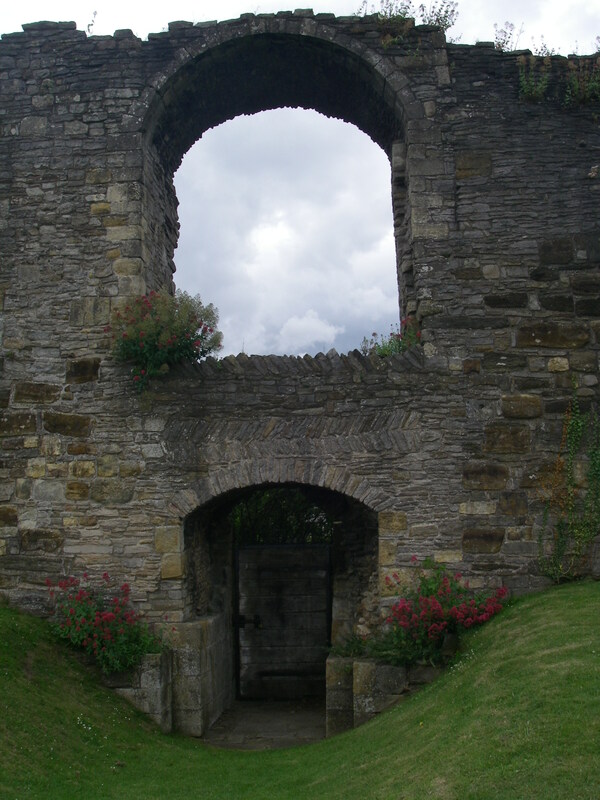 Next, we moved onto Richmond castle, sited in the middle of a town, overlooking a deep valley. 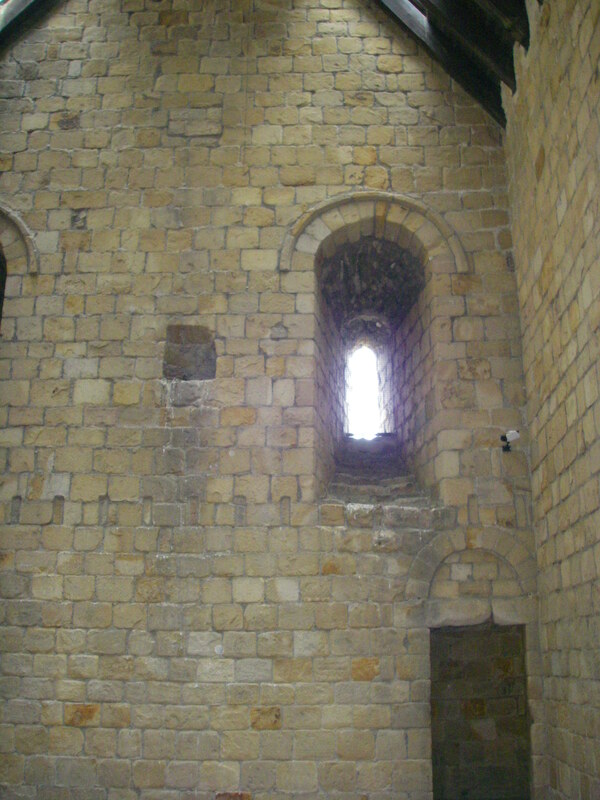 The walled bailey still there, the keep intact, but the great hall robbed of form. The surprise discovery – a beautiful garden sat on the corner. 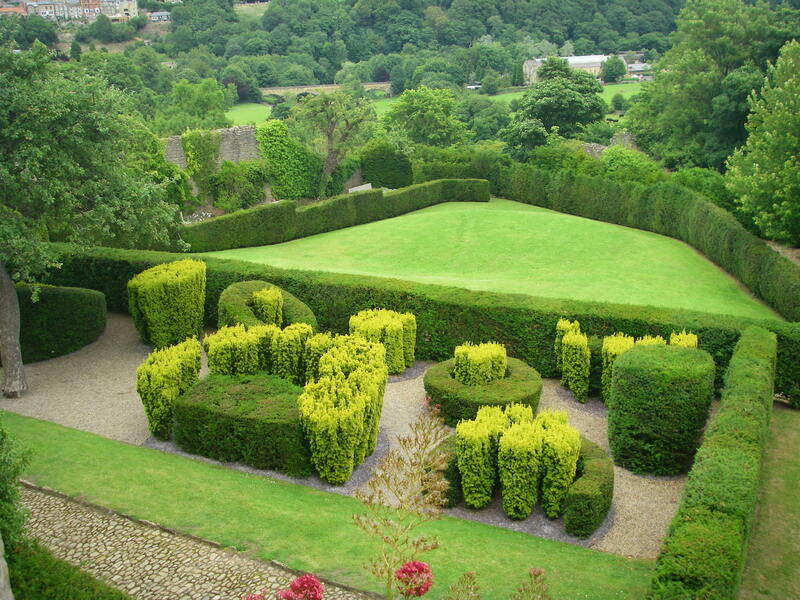 Landscaped by a modern architect, it’s often forgotten that the love of gardens goes back further than imagined. 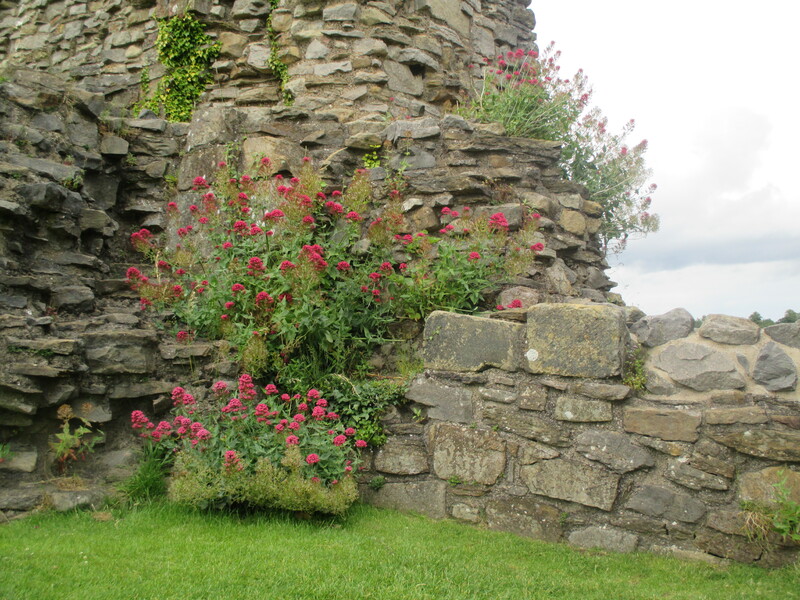 Not all castles tell the tale of sieges. 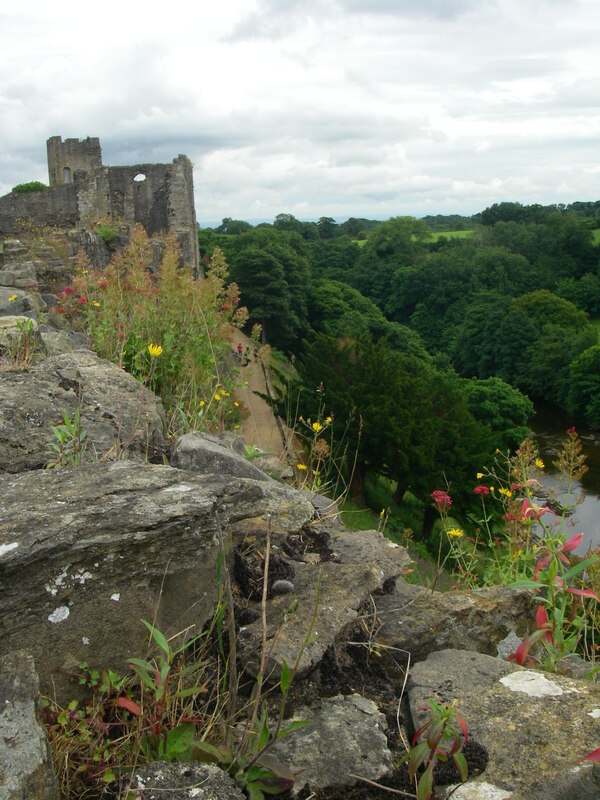 Richmond castle belonged to the Bretons, who share much with the Welsh, as well as the Normans. The town, now frozen in Georgian garb with its cobbled market square, does have a sense of belonging elsewhere. 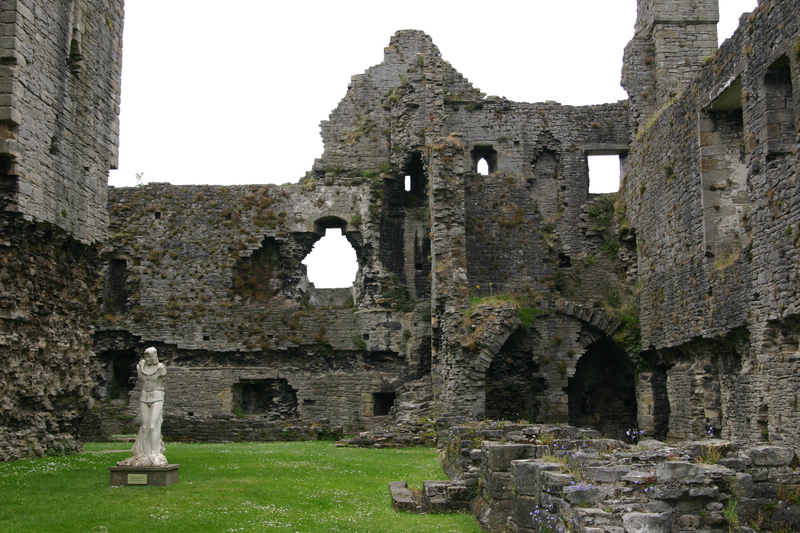 I’m supposed to be writing a novel all about castles, but it’s slow progress and I’d like to visit a few more. We also visited Fountains Abbey, which is one of my favourites. Your novel sound fascinating. The castles of North Wales are excellent, if you’re ever in that part of the country. Hope the book’s going well. I lived in North Wales for a time, but on the borders. My book is set in the north as it gave more scope for covering different times in history. The book is a long term project, I’ve others on the go too.